Following the success of the Goblin and the Goliath, Youde has created another incredible tank by the name of the Zephyrus RTA. 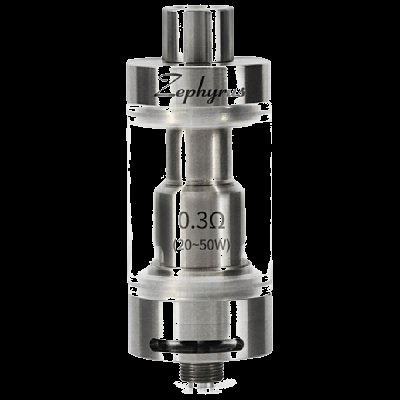 The Zephyrus features a 5ml top filled design which provides a easy to refill and large capacity tank. The Zephyrus features large adjustable airflow control valves which produces amazing clouds. The Zephyrus RTA has the option of using Zephyrus Replaceable Dual Coil Atomizer Heads with Organic Japanese Cotton or the ability to make your own coils using the included RBA Deck. This provides the user great flexibility and convenience.